Good evening everyone! Happy October!!! I absolutely love this time of year, time for cooler temps, changing leaves, and much loved Halloween! 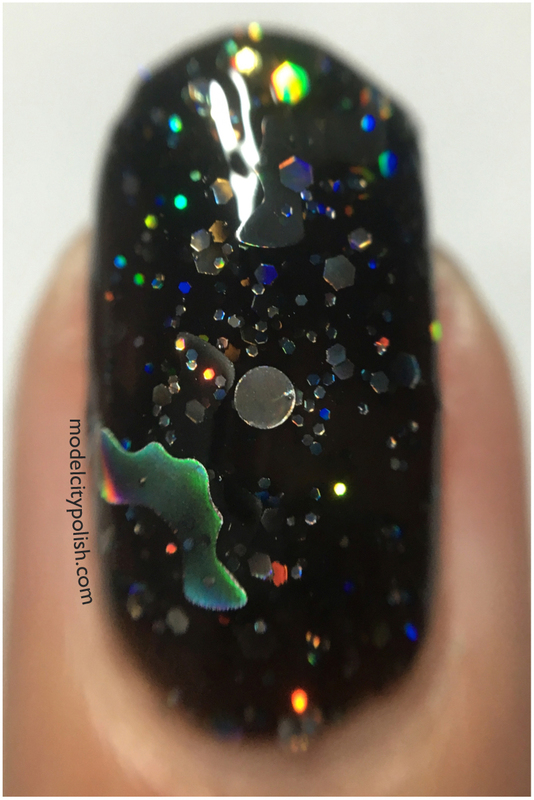 To kick off the month I wanted to share a blend I picked up from Digital Nails last month. 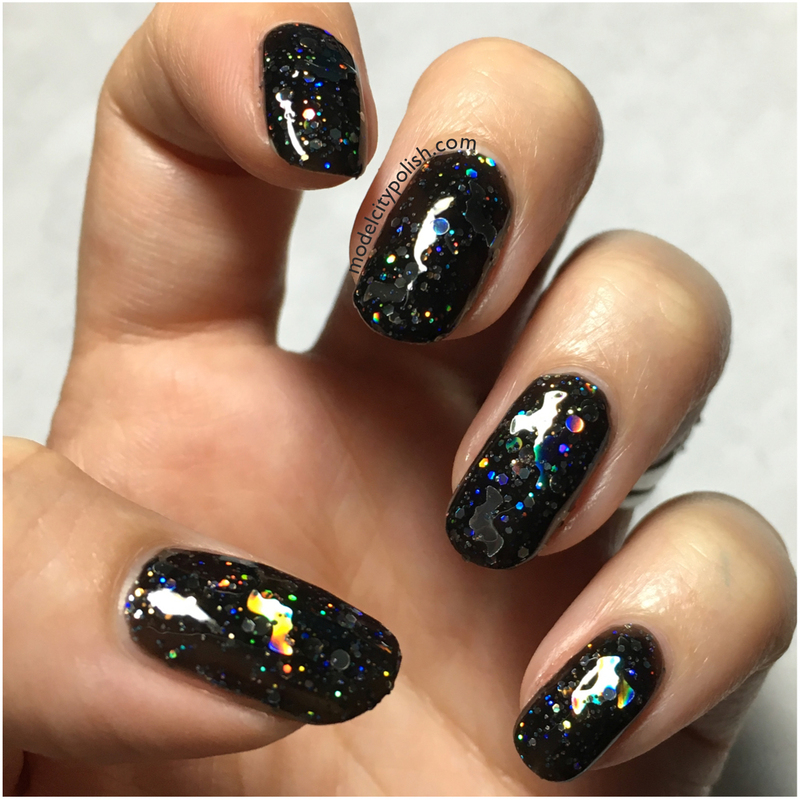 Guano Loco is a stunning black jelly filled with silver holographic glitter in hexes, dots, and bats…..yes, BATS!!!! 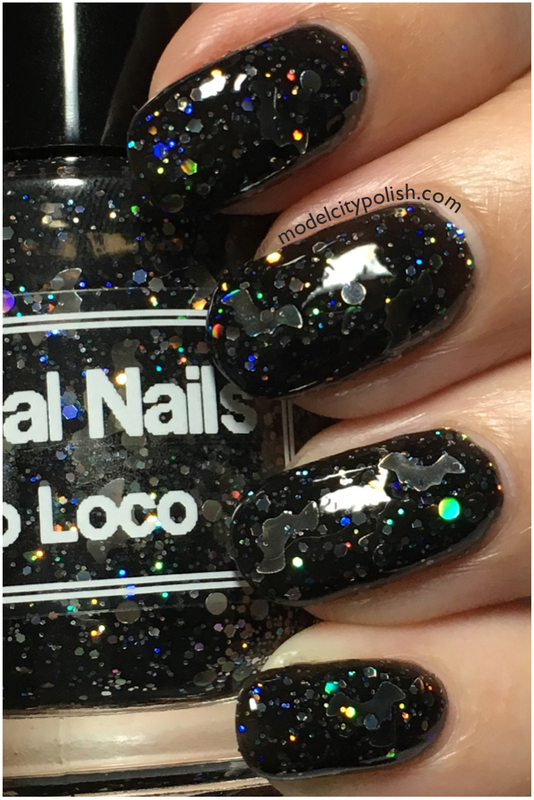 When Digital Nails released a teaser photo I knew I was going to have to grab a bottle. 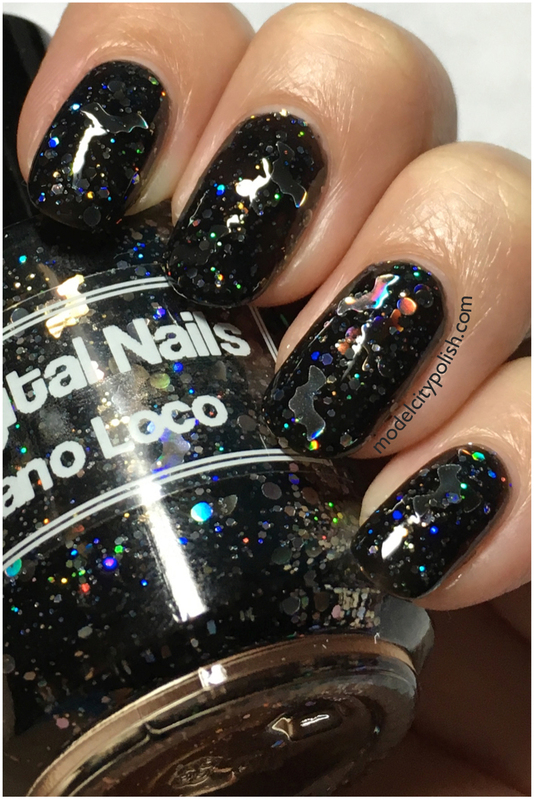 Guano Loco was super easy to apply and I didn’t really have to fish for the bat glitter, though they did included a small bag of loose bat glitters just in case. In my photos I am wearing just two coats of Guano Loco, a coat of Gelous, and a coat of SuperChic Lacquer Liquid Macro Top Coat. So what do you guys think of Guano Loco? I LOVE IT!!!!! The perfect blend to kickoff the month of October. 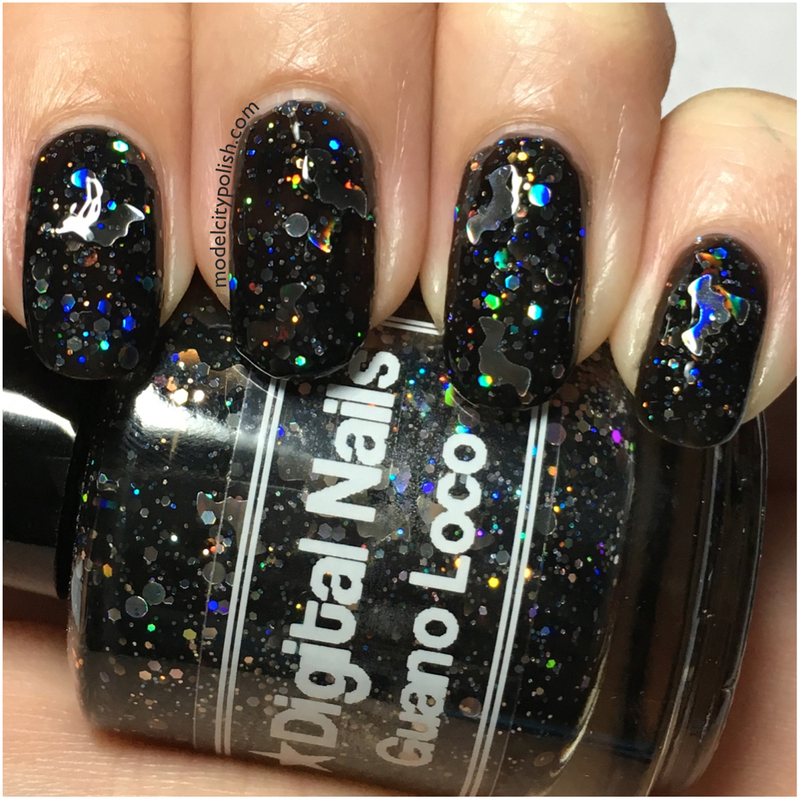 Now if you missed out on Guano Loco by Digital Nails, you are in luck because there are a few bottles left! Be sure to check out all the other amazing lacquers Digital Nails has to offer and give them a follow on Facebook and Instagram for up to date info. Thank you so much for stopping by this evening and I will see you all again tomorrow.